I remember Donald Crews books from when I was a child. This illustrations are so simple and engaging...so when I saw 10 Black Dots by Donald Crews on the shelf at the thrift store, I knew I couldn't leave it there. The story starts with one black dot that makes a sun. 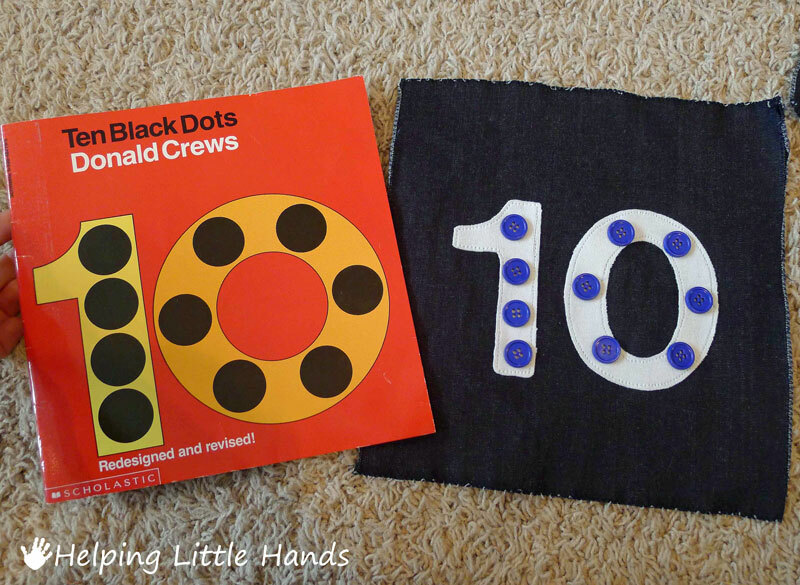 Each page adds another dot and uses them in a creative way for a different part of the picture. For our activity, I pulled out our number squares. You can see how I made them here, or you could easily make something similar with just paper. 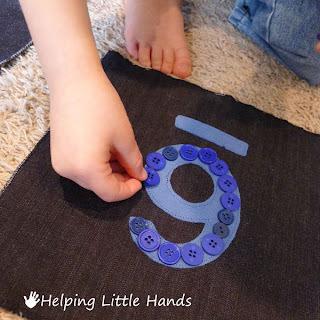 My kids love it when I pull out the number squares, and they love it when I pull out the buttons, so this activity was a double success as far as they were concerned. 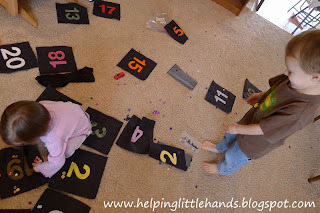 My plan was to have Little Brother put buttons on each square to add up to the number that was on it. But it turns out that putting brightly colored buttons onto brightly colored numbers is just too much fun...one can't limit oneself to just a few buttons. The number must be completely covered. Sweet Pea wasn't too interested in the number aspect, but she really got into sorting the buttons by color. It started when Little Brother needed more buttons to cover his 6. Sweet Pea noticed and started finding blue buttons for him without even being asked. So in the end, this ended up being more of a colors/sorting/fine motor skills day than a numbers day, but the kids had fun and that's what matters. Also, don't be surprised if your living room looks like this when you're done...because it turns out brightly colored buttons are fun to throw around too...especially when you're overdue for a nap. The buttons that I let the kids play with were bought in a large assorted package from the craft store...but if you're looking for some super sweet affordable handmade buttons for a special project, be sure to check From the Red Kitchen (my sister's shop) where she has a whole rainbow of pretty ones. And as a bit of a disclaimer...you'll want to be careful giving kids buttons to play with. Buttons can be a choking hazard. Sweet Pea is almost 2 and not at all inclined to put them in her mouth. 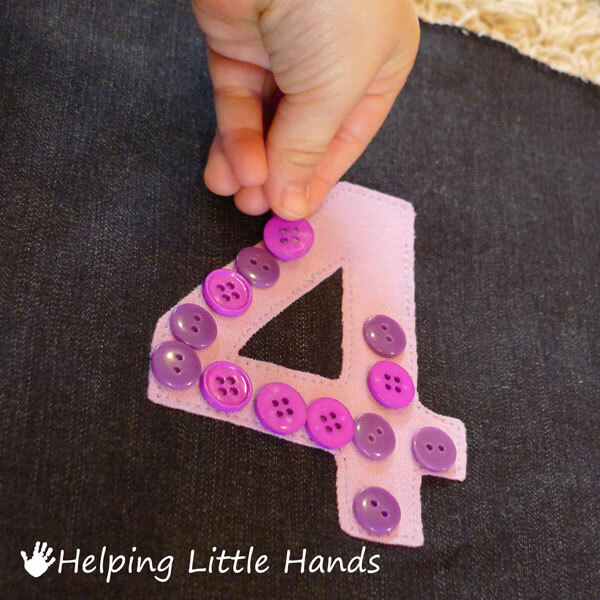 However, many toddlers her age DO put things like buttons in their mouths, so you need to know your child and their abilities. Be sure to supervise them at all times. I love it that the morning morphed from counting to colors. Good thing you had lots of buttons on hand! 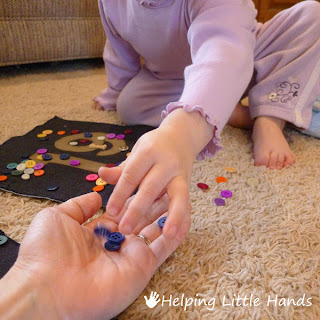 What a sweet photo of Sweet Pea sorting buttons for her brother. I love those numbers you made. Very cute! Thanks for sharing at stART. I am a new follower. What a fun a super cute idea! 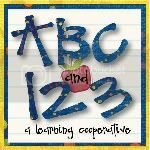 I will be adding this to my Tot School, for sure! Thank you! 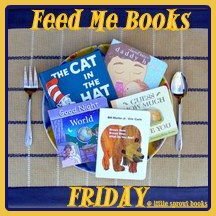 I'd love to have you link these up at For the Kids Friday Link Party! 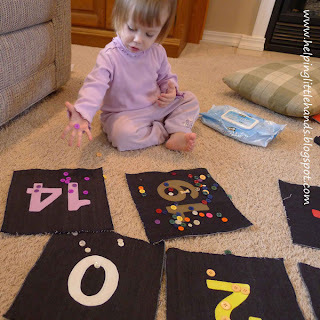 I love those number cards...what a fun activity with so many different learning possibilities! This book also looks like a lot of fun, we will have to check it out. What a great site! I especially love your felt food. I found you at stART. 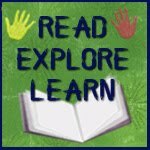 Come check out my projects at bookwormfun.blogspot.com!